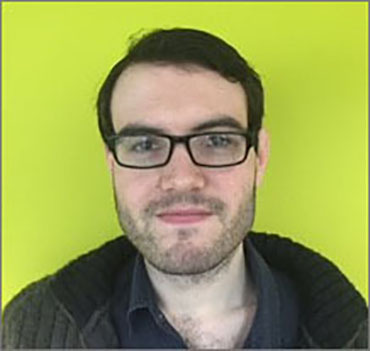 Joseph is a Postdoctoral Research Associate on the DeSTRESS Project, which aims to investigate the medicalisation of distress in low income communities. My main role on this project is to analyse a set of GP-patient mental health consultations using conversation analysis (CA) to see how this medicalisation process manifests at the interactional level. This involves, specifically, analysing how doctors diagnose and recommend treatments (particularly antidepressants and counselling) to patients presenting with (often severe) stress, and how patients respond to these diagnoses and treatment recommendations. Before I came to Exeter, I was a PhD student in Social Sciences at Loughborough University. My research there was also using CA, this time to look at emotion and empathy in interactions between palliative care doctors and their patients. I also, during my time as a PhD student, acted for a year as the co-ordinator of the renowned Discourse and Rhetoric Group (DARG). Loughborough University was also where I received my BSc. in Social Psychology.